I’ve been on the farm for a week now, and there have been many exciting developments. I sowed my first seeds. I learned how to make vanilla apricot jam. I woke up to see a mouse clinging to the wall above my bed. And then, perhaps most exciting of all, at our weekly farm apprentices’ meeting I was designated chicken foreman. Before you get too congratulatory, let me be clear: this wasn’t really a job anyone wanted. There are 62 chickens on the farm, and since we take turns collecting the eggs every afternoon the responsibilities of chicken foreman are generally limited to coercing someone into closing the coop after dark. Clambering blindly up the pasture at night where 62 chickens romp (and poop, prolifically) by day is not particularly fun, and when you reach the coop there is only a downhill slide (through the poop) to look forward to. Being a proponent of conflict avoidance by nature, I anticipate many dark nights of coop closing. 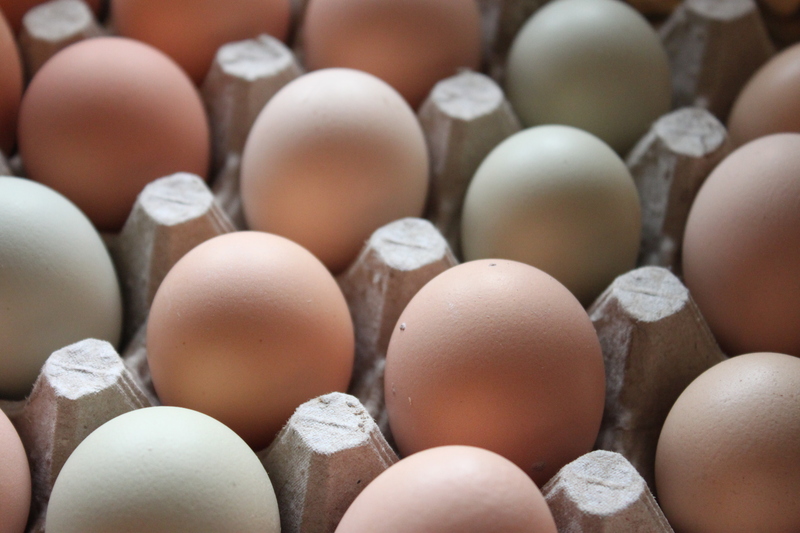 On the bright side, 62 chickens means 55 eggs a day, and if there’s one thing I never tire of eating it’s eggs. More specifically, fried eggs. 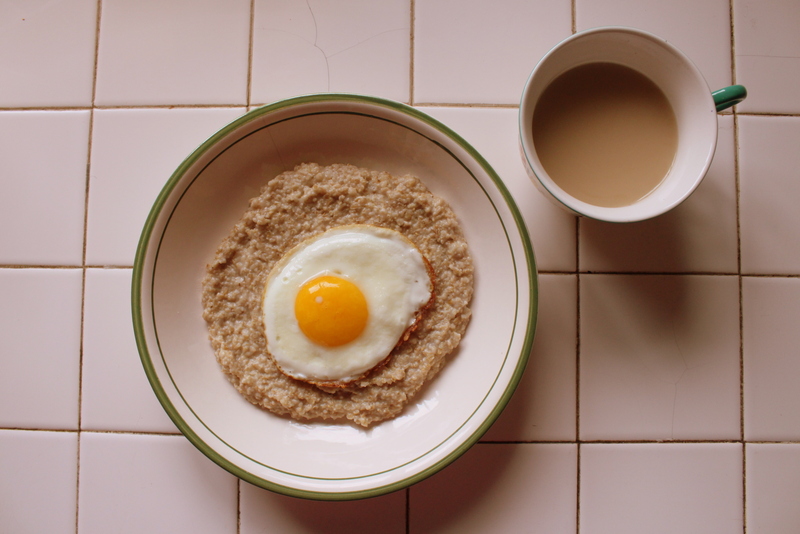 Over the years I’ve come up with various ways to enjoy them–on toast spread with avocado, with pasta, alongside sautéed chard—but my absolute favorite invention is a fried egg on Irish oats. (As of now I’m still fairly certain it’s my invention, if only because everyone I tell about it recoils with what I interpret as skepticism). As simple as it is there’s something wonderfully satisfying about stirring the whole mess together, a perfect mix of hearty oats, creamy yolk, and crispy fried edges. I could eat it every day, and as chicken foreman I just might. As with many things I enjoy, the key to making this delicious is salt. I like to sprinkle it over the egg while it’s frying, and I usually add a little extra when it’s all mixed together. Bring 1 1/2 cups water to a boil and stir in the oats. Return to boiling before lowering the heat and simmering uncovered for about 10-15 minutes. While the oats are cooking add a generous amount of olive oil to a small pan and fry your egg, turning off the heat when the yolk is still runny but the edges have crisped nicely. When the oatmeal is thick and done pour it into a bowl. Top with your egg, sprinkle with salt, and mash everything together. You should end up with a bowl of creamy-looking oats flecked with bits of crispy egg.